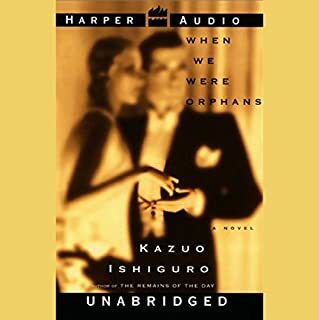 ©2005 Kazuo Ishiguro (P)2005 Random House, Inc. Random House Audio, a division of Random House, Inc. 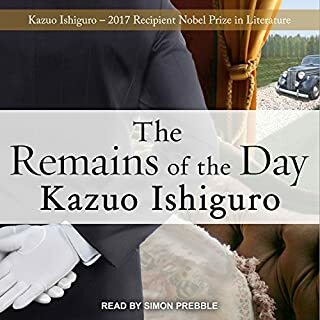 I loved Ishiguro's biggest novel, Remains of the Day, considering it one of my all time favorites. Since then I haven't found Ishiguro has been able to recapture the nuances of Brittish emotion that he did so masterfully in Remains. This novel comes very close, though. I wasn't sold at first, thinking it was uncomfortably close to Margaret Atwood's The Handmaid's Tale. But it comes around, and the farther you get the more fascinating it becomes once you learn "the big twist", always with an unflinching first person look at an unknowable life ripped from a Aldus Huxley-style sci fi plotline. One BIG strength: it is beautifully read. The detail is tedious. Everyone is so terribly sensitive, and trivial interactions take pages. But every few pages there is a "ping," of something not right, or a growing realization that there are large things missing in this detritus of kids at a boarding school fussing about their feelings. Then you slowly realize what is missing, and some of the trivial events reappear with deeper meaning. 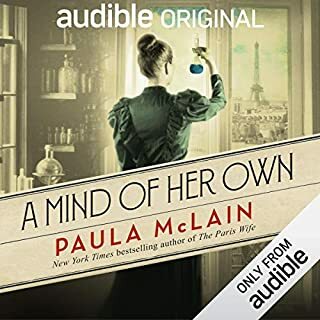 Two-thirds of the way through you realize the importance of the author's emphasis upon tedious little spats and hurts and crushes, and then the reader (who is fine) annoys you because she can't read fast enough as the horror mounts and the jigsaw gets completed. It is not science fiction at all, as some say; it is all at hand and little prevents society from seeking this path to health. 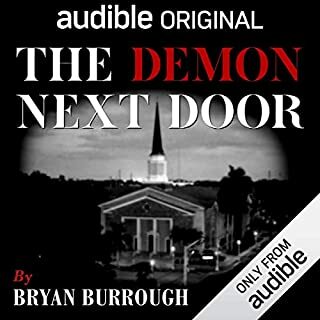 I listen to audiobooks everyday. I've really enjoyed many but never have I been so enthralled as with this book. The plot & pace were mesmerizing as was the narrator. If you like an eery mystery with a lot of detail this is for you. If you want something very fast paced that doesn't make you think then don't bother. Kathy is a pupil at a special boarding school called Hailsham, which trains its students to be "donors" and "carers". Though Kathy describes her work and education in casually vague terms, it quickly becomes clear that there's a more troubling purpose to it. However, Ishiguro shies away from explaining or examining the real issue directly (at least until the end), instead conveying the story's emotional tone through Kathy's reflections on small details of her life and her relationship with two close friends from Hailsham, especially as their roles approach a final decision point. There's certainly some resonance to Ishiguro's understated approach to his story, but I found it a little too glancing. Once it was clear to me why Hailsham existed, which happened about a third of the way into the book, I wanted more directness. How could this have happened in post-World War II Britain? And why would the characters, who seem to be intellectually and emotionally normal people, and aren't too restricted in their adult lives, accept their lots so passively, rather than, say, running off to Mexico? 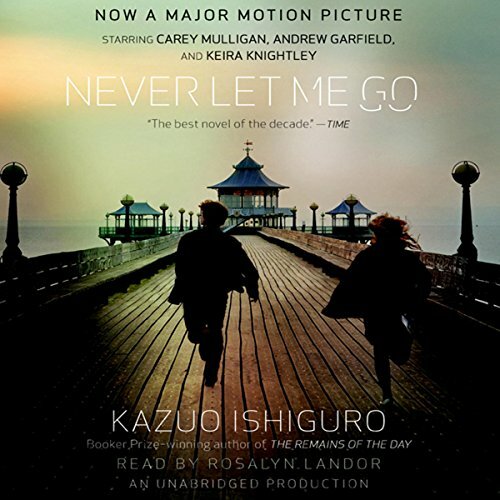 To me, there were a few too many logical questions that Ishiguro didn't adequately address, and the main characters' relationships, though they are drawn with a poignant mix of adult and juvenile behavior, didn't have enough going on to carry the heavy moral questions that the book poses. I had trouble taking the premise seriously without knowing more about the political realities of the novel's world. 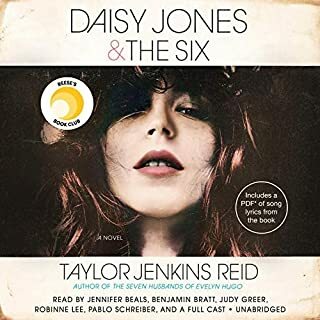 All in all, though the writing is good and there is some power in a scene towards the end, I found this one to be a bit of a disappointment as a whole. This writer is truly a genius. He weaves a spell that keeps you bound to the story through much seemingly tedious detail. Whatever else this book is about, it is about the steady erosion of hope, about repressing what you know and, like many of his books (especially "Remains of the Day"), about how many of us can't reach out and grasp the happiness right in front of us. This book will be in my pantheon of classics -- and I never would have read it if our book club hadn't picked it out! This book is not for everyone. It's a slow burn filled with pages of detailed descriptions of trivial things that at first make no sense. However, there is a big pay-off for the reader that sticks with the story. Eventually you begin to piece together what is happening and the reason behind all the detailed and trivial descriptions. 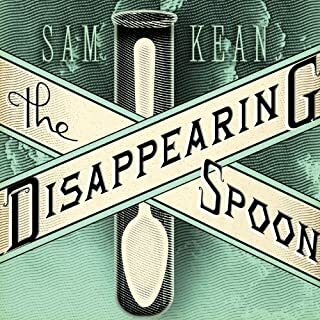 This book was such a haunting tale of advanced science and the ethics behind it. This book will stick with me for years to come and most likely I will never be able to let it go. Ishiguro's trek in to the foundations of society is a foray into all of the insecurities that we humans have. Kathy (Kath) is intelligent, insightful, and seemingly stable; we are privy to her successes in a world that is not necessarily kind, nor fair, to the students of Hailsham. This is not a school story -- far from it. It is a story about the plight of the human race. It is richly detailed, haunting, and thoughtful. A must-read for those who don't mind thinking while reading. So well written and narrated. Interesting, too - in the beginning before you learn who these people are and what fate is about to befall them. Although I won't spoil the essence of the story - it creeped me out. Although I love to be swept up in a fantasy story - this was not a fantasy that I wanted to be a part of. As other reviewers have said, impeccable narration of an amazing book. The less you read about the plot points of the story, the more you will enjoy the unfolding of the narrative. Don't order this expecting a mystery or thriller, though; the point is the way the story moves fluidly from memory to memory, back and forth in time as it unfolds. The situation of the "students" in this story is unique, and yet has much to say about our humanity in general. I look forward to reading the rest of his books! I ended up recommending this book to a colleague who teaches a philosophy class entitled "The Good Life." He plans on using it, saying it is the best novel that he has found so far. Because that is what the book is about and that is why it seems slow to some people. It is not action packed. The novel will not go places that you would expect a movie to go -- revolution, loud cries for justice. Though the characters seem to be very different from us, they are not. Their lives are just compressed. In their childhoods they understand and don't understand what their lives will be. They have opportunity to have all the things that philosophers says makes life worth living: friends, love, study, work, everything except children. The book makes us ask, if this is all there is, is life worth living?